I shouldn't tell this secret, because telephonic pre-hearing conferences are great for business. Many injured workers who have decided to represent themselves in their Industrial Commision hearings, get the notice for the "telephonic pre-hearing conference" and freak out and break down and call a lawyer. Pre-hearing conferences are actually very brief informal discussions between the parties (or their lawyers), and the ALJ (Administrative Law Judge) who will be deciding the case. It is usually done just to bring the ALJ up to speed on what issues will be decided, what witnesses will be called, and any defenses that the parties might raise, so there are no surprises at the hearing. Pre-hearing conferences are held in almost every case where the applicant is not represented by an attorney. The judge will inform the injured worker that he or she is still expected to abide by the Rules of Procedure and the deadlines with respect to filing of evidence and requests for witness subpoenas. They usually only last a few minutes and are very informal. 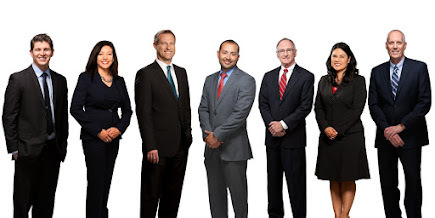 Snow, Carpio, and Weekley are Arizona attorneys with offices in Phoenix and Tucson. They have represented thousands of Arizonans who have been injured in on the job accidents. They offer a free consultation and are always glad to give out free advice on workers compensation matters. They can be reached at (602) 532-0700 or (520) 647-9000.